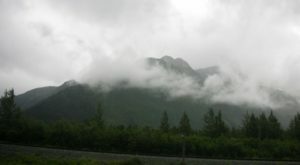 Arriving in Whittier, Alaska, is a singular experience. You either sail in past snow capped mountains aboard a ship, or navigate a two and a half mile railroad tunnel through a mountain. Either way the end view is stunning; green mountains rising up from crystal clear waters. A picturesque harbor filled with boats. A stunning inn perched on the edge of the ocean. 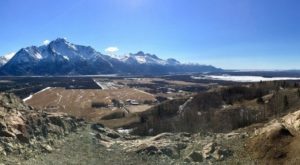 Whittier is small and beautiful, a little secret tucked away in a year-round ice-free port— exactly why the military decided to build the Buckner Building, a building that served as a military installation for a decade before becoming one of the most famous abandoned buildings in Alaska. 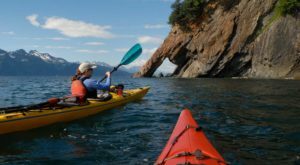 Whittier, Alaska, is a small town on the Prince William Sound of only about 218 year round residents. 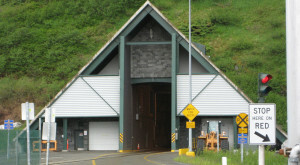 The only access to Whittier is by sea, a tunnel through a mountain, or by airfield or seaplane dock. 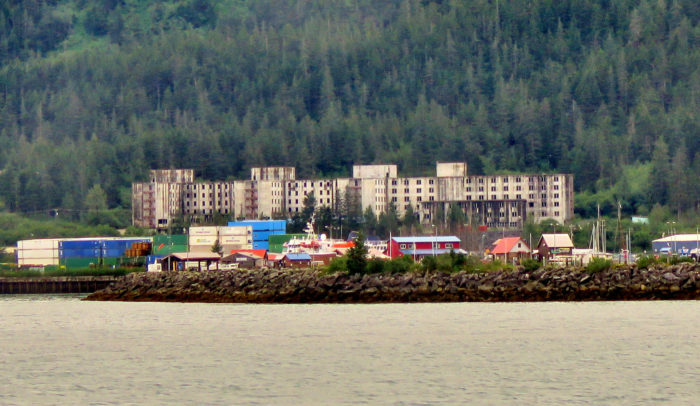 Whittier has a harbor and ice-free deepwater port, used by the Alaska Marine Highway and the cruise ships. 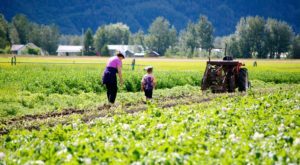 With over 197 inches of annual rainfall, it is also the wettest city in Alaska, and all of the United States, even with its subarctic climate. Due to Whittier's secluded location and sufficient cloud cover, as well as convenient access to an all-weather railroad port, the military decided during the Cold War to move 1,000 soldiers to Whittier. This building was erected quickly and finished in 1953. The six storied, almost 275,000 square foot building was named The Composite Bachelor Housing Service and Recreation Center. 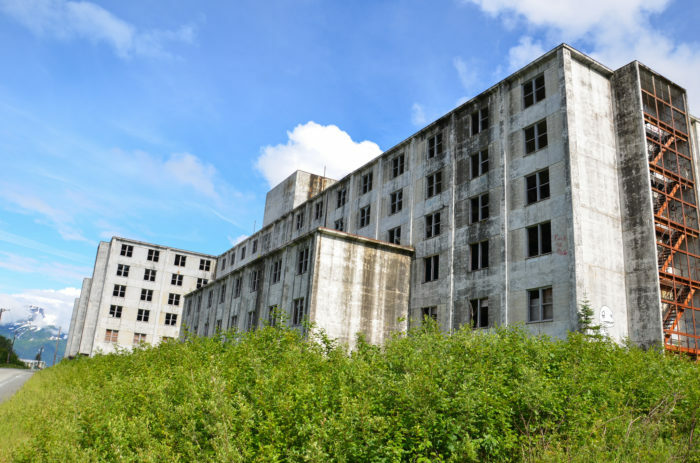 Also known as "The City Under One Roof," it housed sleeping quarters, a small jail, a 320 seat movie theatre, a four lane bowling alley, a mess hall, and tunnels connecting the residents to the town of Whittier. The building eventually became known as "The Buckner Building," as General Simon Buckner was the one who recommended the military build this bomb proof facility. 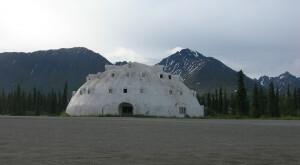 The Buckner Building was, for decades, one of the largest buildings in Alaska. The building was designed to support the military so they wouldn't have to leave and expose themselves to enemy aerial surveillance. 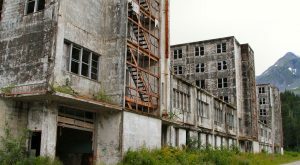 Although the building was decommissioned and put into inactive status in 1960, the Buckner Building still ran its power plant until June of 1966. This building survived the 1964 Good Friday Earthquake with flying colors! Due to the excellent engineering and reinforced concrete built on bedrock, the building actually sustained no great damage. Even though the shaking and subsequent tsunami would cost over $5 million in damages, the Buckner Building only sustained two ruptured 10" water lines in their power plant. What the earthquake could not do, neglect succeeded at. After the military left, the building was eventually bought in 1972 by the City of Whittier. After they purchased it, they were unable to find a developer for the property, and the building quickly fell into disrepair. The building changed hands numerous times in the following years, raising hopes that it would be renovated and put back into use. Unfortunately the story played out the same each time. 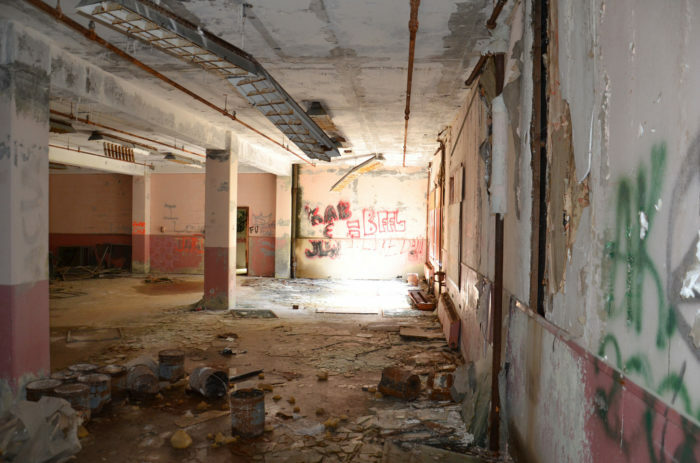 Factors like the recession of the 1980s, the road to Whittier taking too long to materialize, and the lack of financing left the building in a continually deteriorating state. Once most of the windows had broken in the building, Mother Nature began to move in and do her worst. With the continual rain came mold, mildew, and flooding. At any given time there is inch deep water throughout most of the rooms in the building. What nature wasn't able to accomplish, vandals have excelled at. 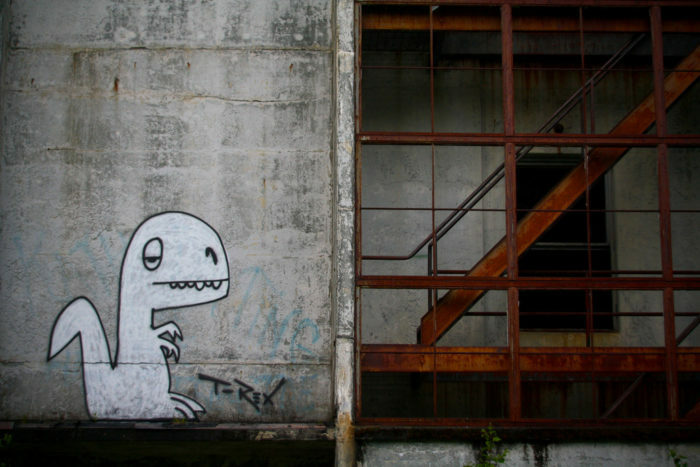 Graffiti is everywhere, inside and out in the Buckner Building. The rest of the windows have been broken, and now vegetation is moving in. Wires hang from ceilings, and animals make nests in the debris. Entire floors are swathed in darkness, and reports are that the lowest floor is completely flooded. In 2016 the Buckner Building went into foreclosure, and the City of Whittier ended up taking possession of it once again. 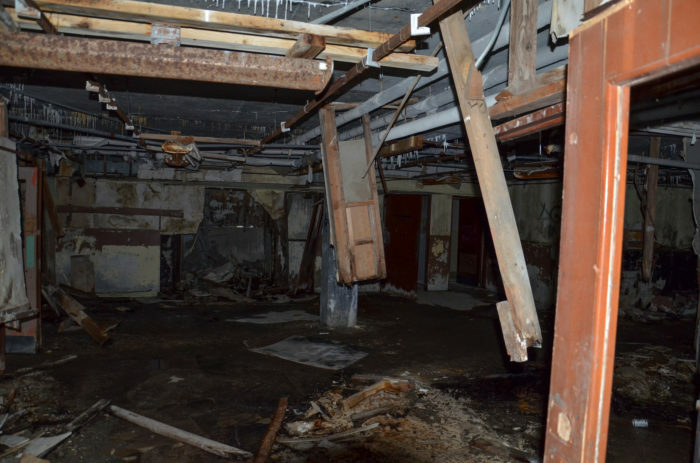 The Whittier Department of Public Works and Public Utilities have done some work on the building, and the city hopes that it can be restored to preserve history. There is now a fence around the property, and the city has begun aggressively going after those who break in and vandalize the property. 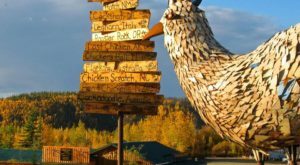 However, the Alaska Department of Environmental Conservation does not support the restoration of the property, and instead recommends that it be torn down. 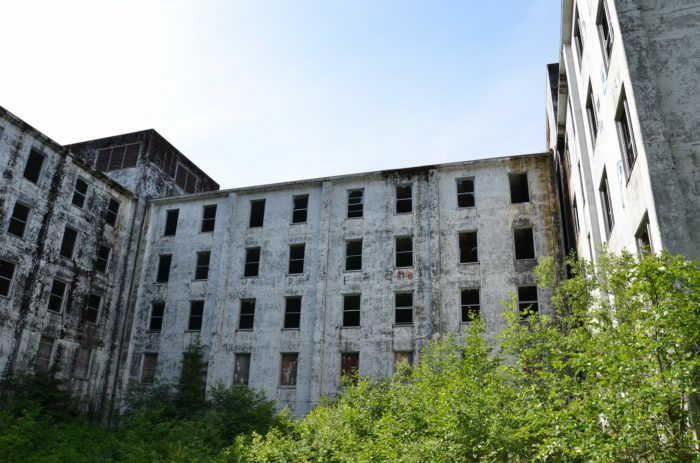 Both razing or restoring the property is reported to be incredibly expensive, and so the Buckner Building continues to sit, empty except for the bears that are rumored to hibernate inside. It is a testament to the engineering of the building that it has withstood over 50 years of abandonment and neglect, and still stands tall. 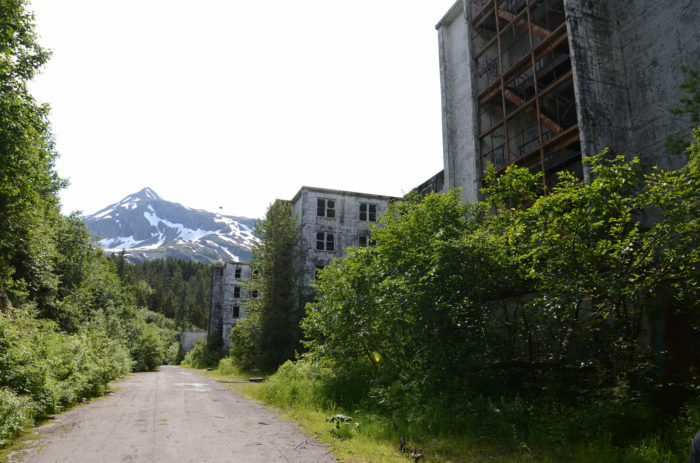 Have you visited Whittier, Alaska and seen the famed Buckner Building? 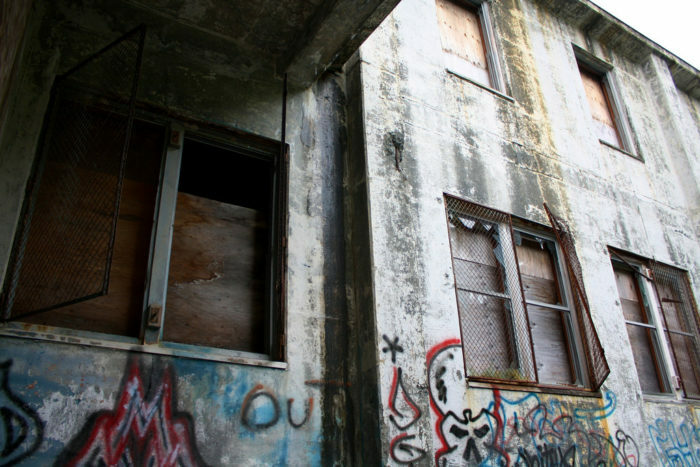 What would you like done to the property— would you like to see it torn down, or renovated?